A shift trellis allows growers to adjust the orientation of the canopy during bloom and harvest, making for easier picking. This graphic will guide growers as they prune blackberry or raspberry plants. It’s a simple, four-step diagram that is easy to follow and reinforces the instructions with images. Growers might consider printing this PDF and posting in appropriate areas of the operation for reference while pruning the plants. N.C. State University developed this pruning and training guide as a resource for growers. 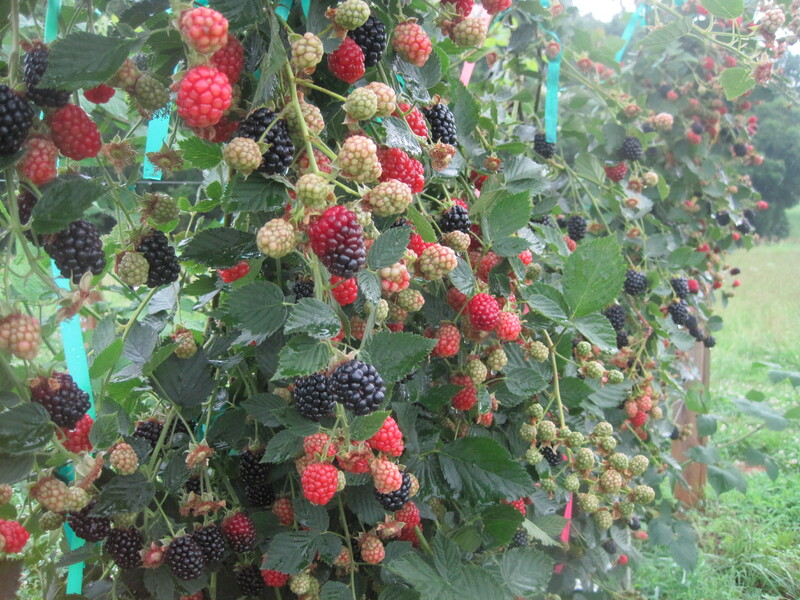 Visual examples of the different types of trellises used to grow blackberries and raspberries. Includes dimensions and pictures of each type.